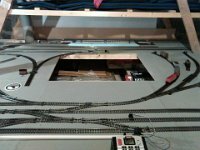 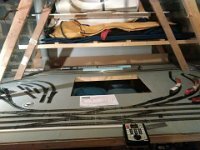 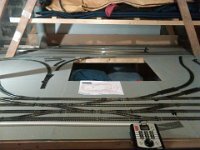 12 Loco storage and the wye. Starting to get points motors in place and wired up. 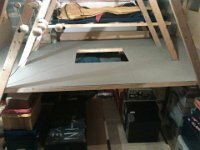 13 Blue foam to represent platforms, will replace, eventually. 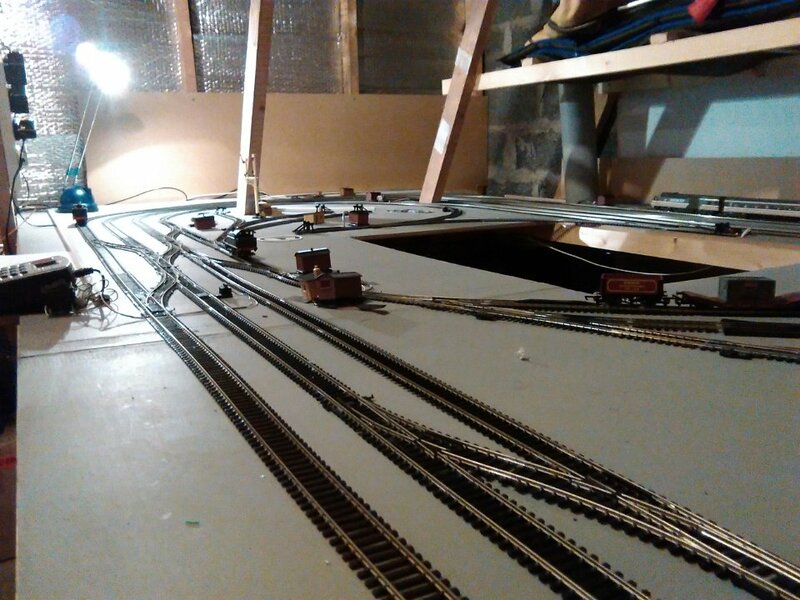 14 Sidings full of carriages. 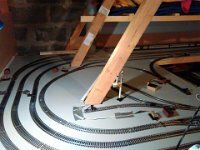 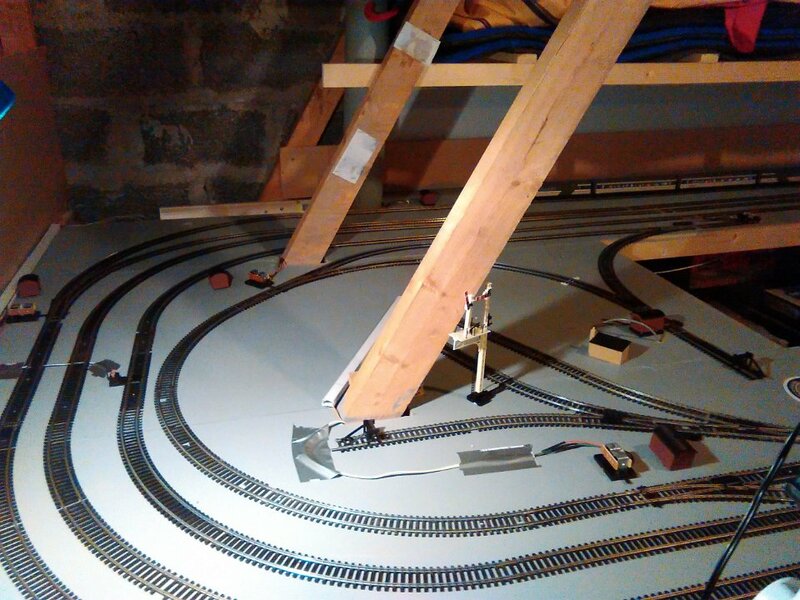 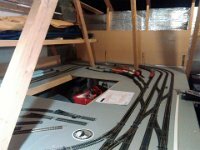 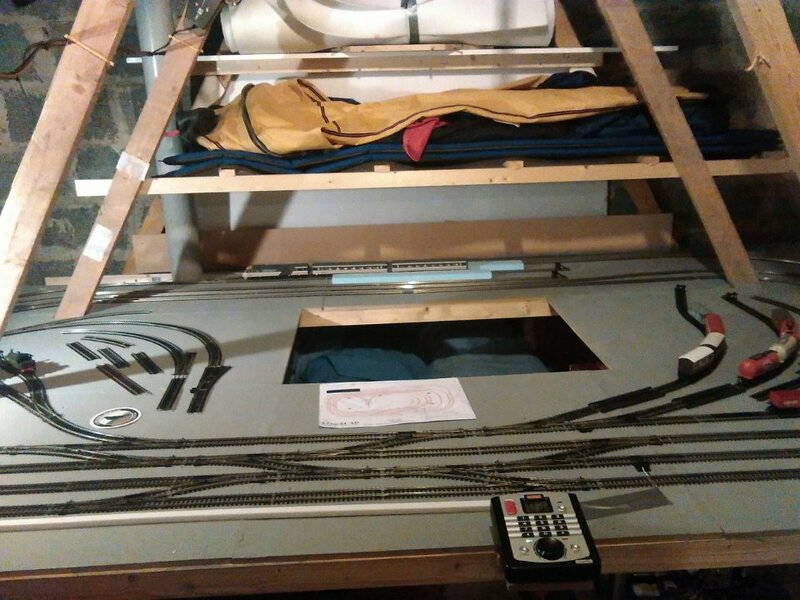 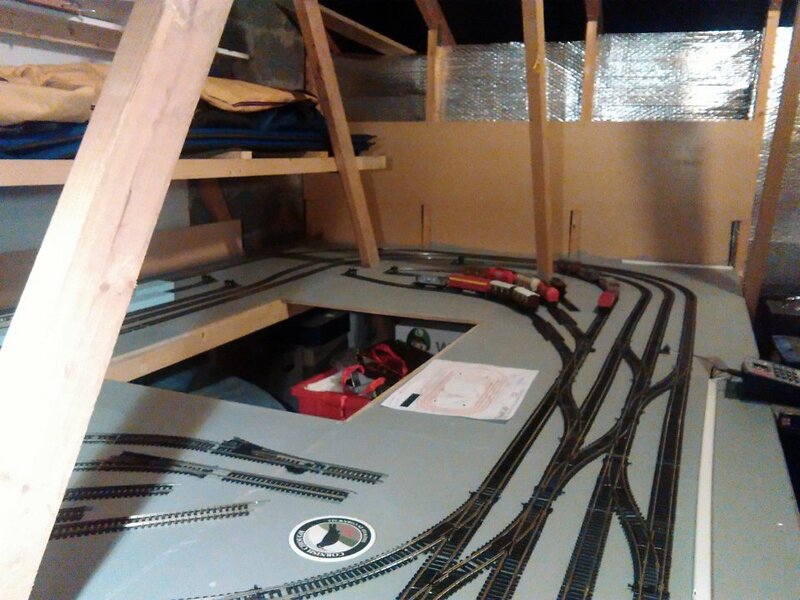 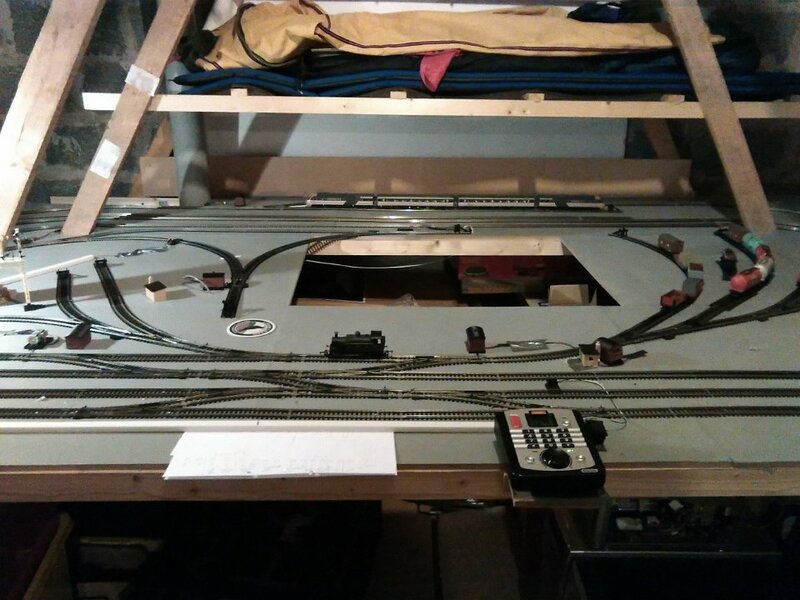 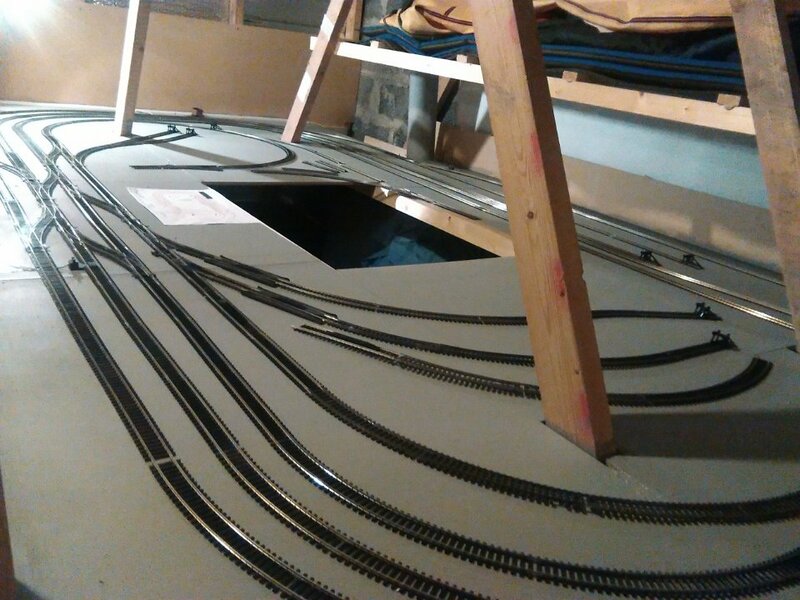 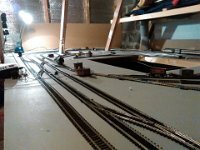 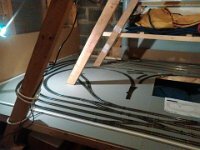 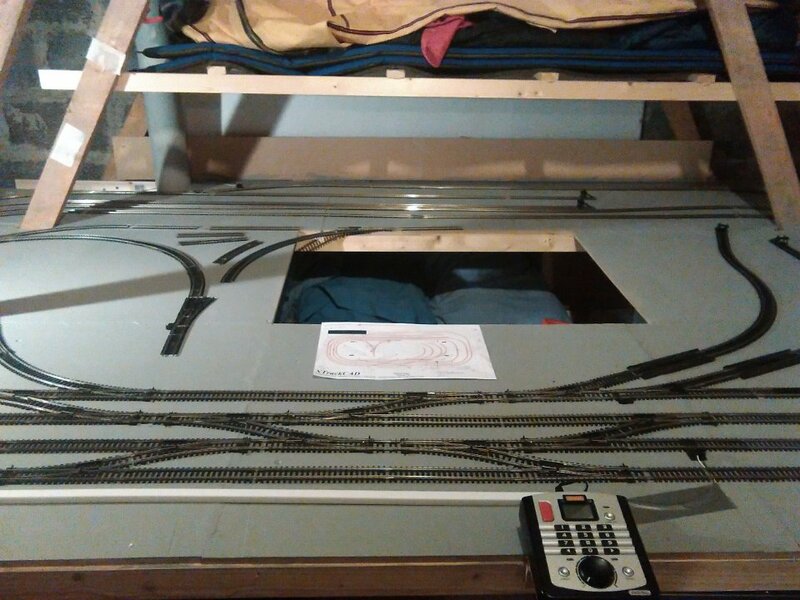 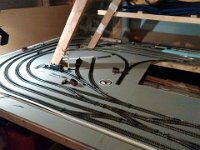 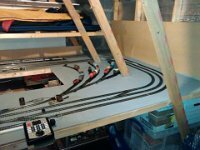 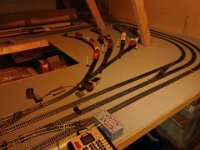 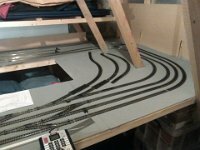 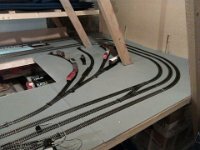 Note slight change of layout to sidings and track. 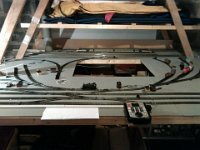 15 Getting points motors wired up. 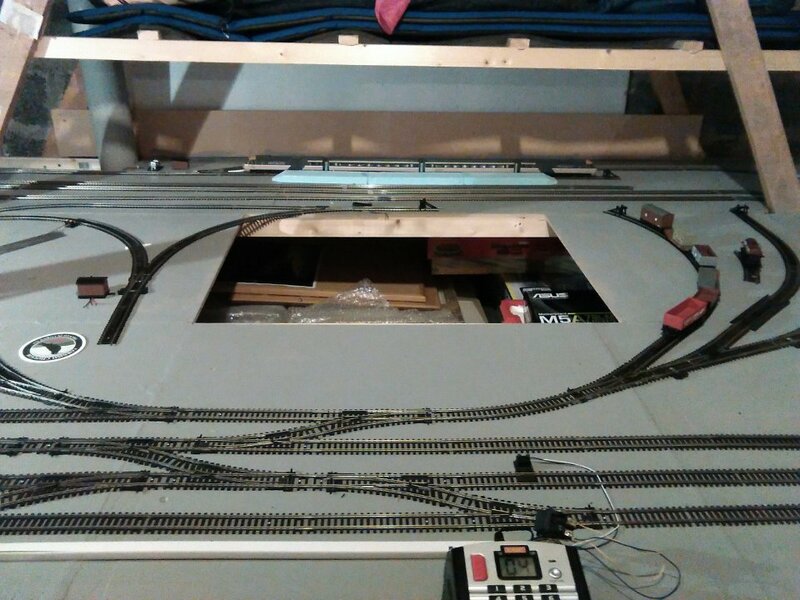 16 The little huts will hide some of the wiring. 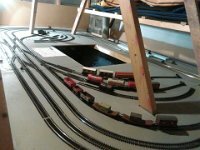 17 A few more carriages have appeared. 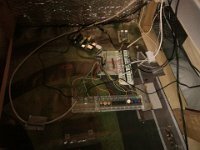 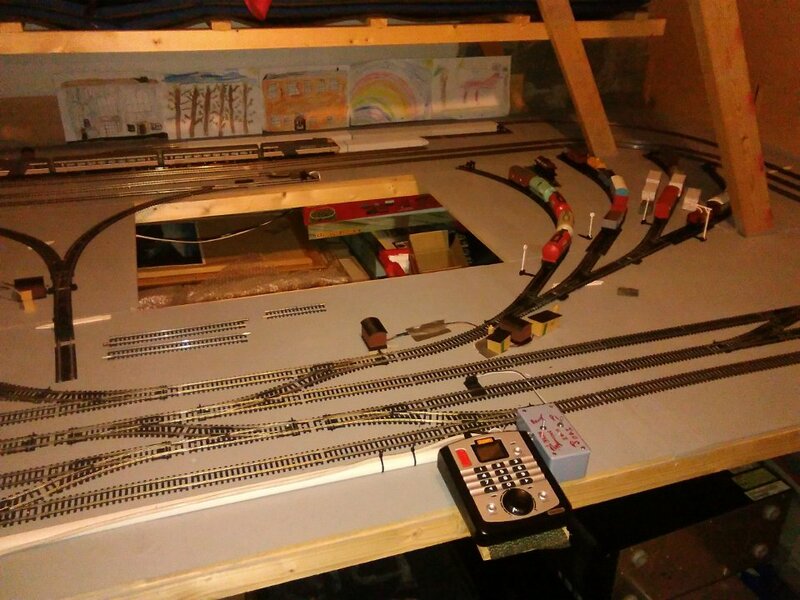 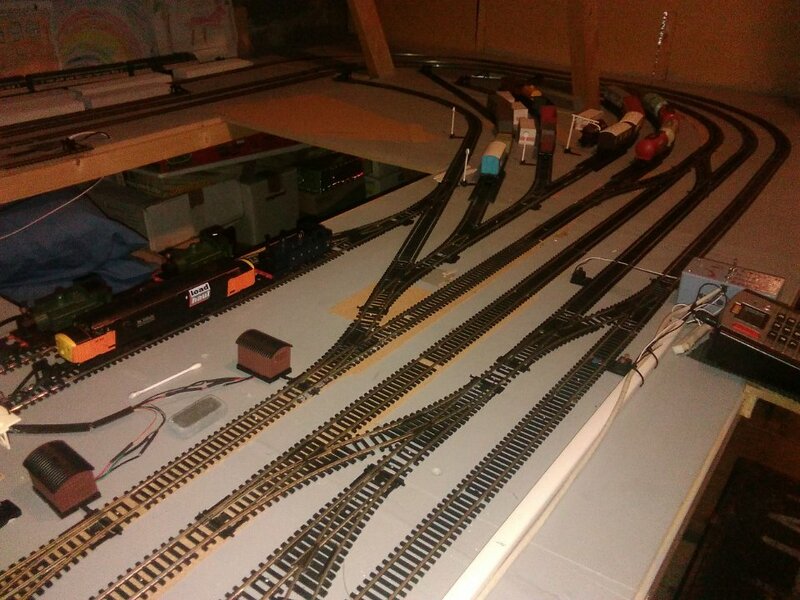 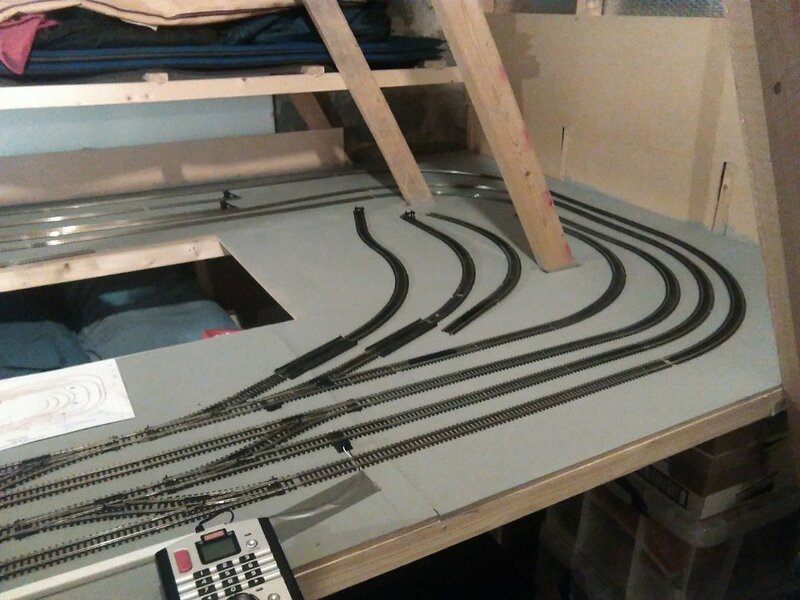 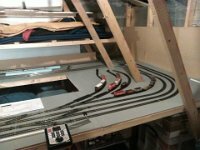 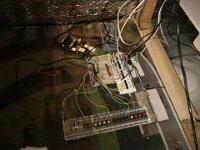 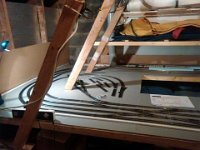 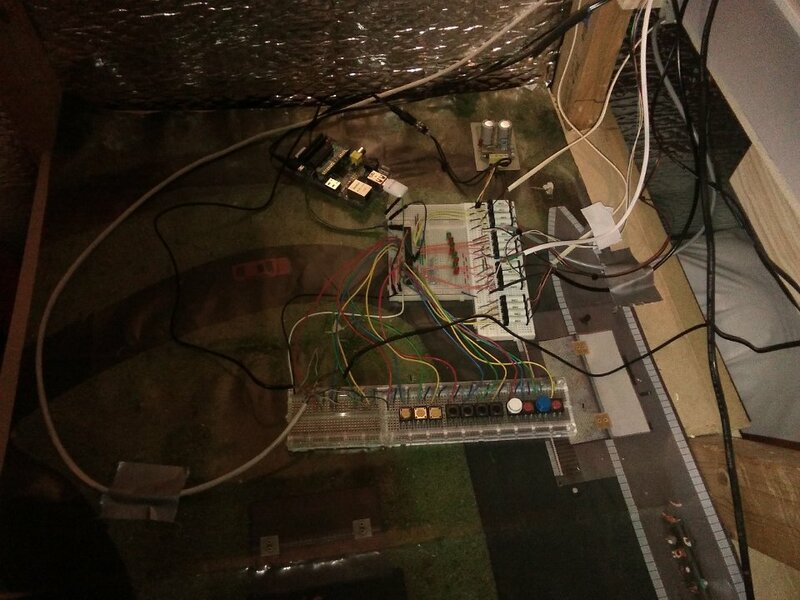 19 Raspberry Pi, CDU, relays and switches all combine to control the various points around the track. 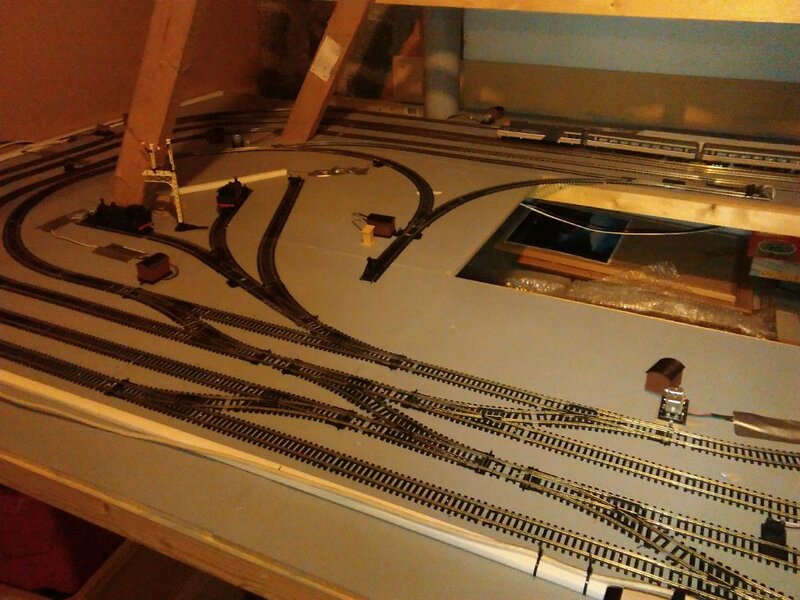 20 wires at left hand end are from switches hidden around track. 21 The wye is wired up and working. 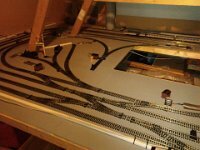 There is a switch in the buffer stop and under decoupler. 22 Control box gives power, via a relay, to isolated wye track and then opens points. 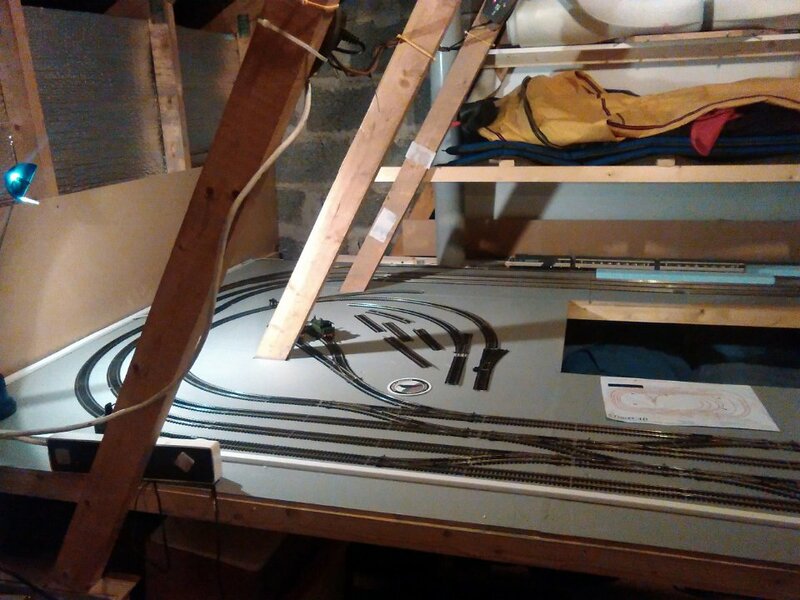 23 Euan has been drawing pictures for the background, looks good. 24 Note the new loco - Orange and black LoadHaul. 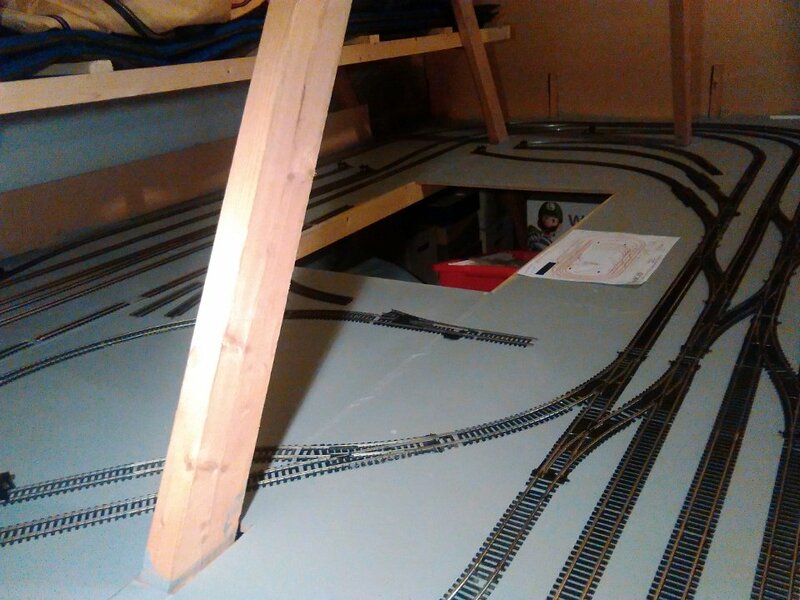 Also note subtle changes to layout of sidings. 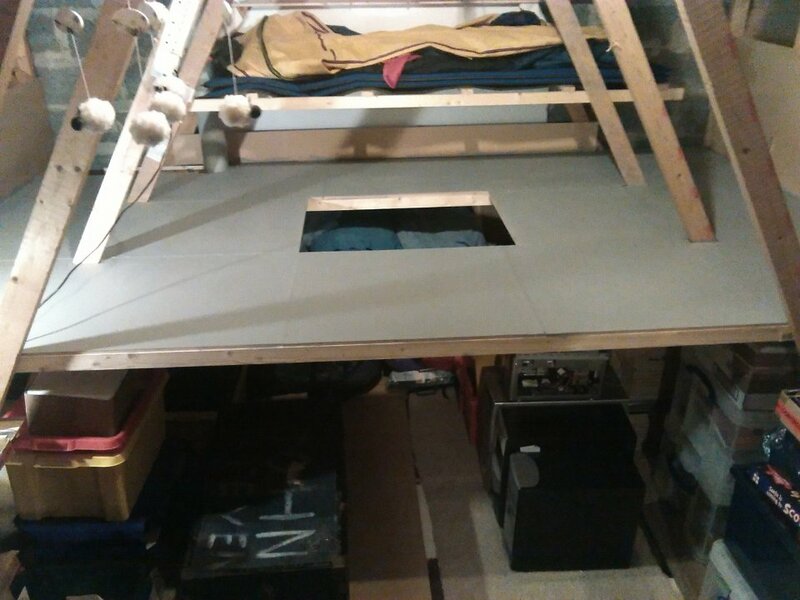 Still a work in progress.